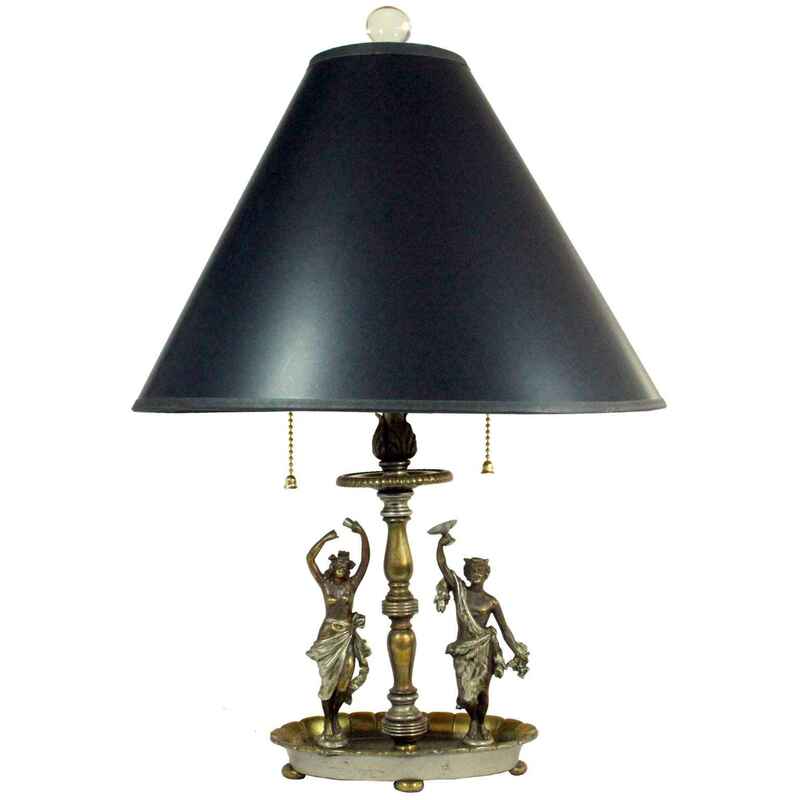 Single lamp, of painted and gilded bronze; two mythological figures, Dionysus and Diana, flank a knopped column, on an oval scalloped base, with disk feet. Paper file shade with glass ball finial. CONDITION: Excellent conditon. Wear consistent with age and use. 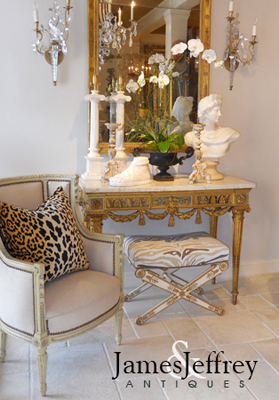 Single lamp, of painted and gilded bronze; two mythological figures, Dionysus and Diana, flank a knopped column, on an oval scalloped base, with disk feet. Paper file shade with glass ball finial. CONDITION: Excellent conditon. Wear consistent with age and use.